We don’t know anyone who would spend $40,000 buying a luxury car just because the salesman claimed it was a good deal. Yet employers hire people basically taking their word for their background and skills despite the fact that the cost of employee turnover can run $20,000, $30,000, $40,000 or more depending on the role in question. When you begin to consider a new car, you start with how you expect to use it. You will choose one based on your relevant needs and the car’s ability to fulfill them. You will look at its ability to carry people and things and its efficiency if those factors are important to you. You might even be forced to consider the role it might play in your teenage daughter’s quest for freedom. In other words, the car will play a role in your life and you want to make sure you have the characteristics. Likewise, in “shopping for” a new employee you consider the role that individual will play in the organization. Will they have unsupervised access to people and/or property? Will they be supervising children or elderly populations? Will their role require them to drive? Does the role require specific training, experience, or credentials? There is a long list of considerations to be made. Every car that can fulfill your role requirements has pros and cons. You have to balance style, safety, features, and cost. Choose a motorcycle over a car and you may be taking on greater risk than if you select the Volvo station wagon. Then again, if your passion is riding fast on two wheels, the risk may well be worth the reward. Similarly, for each applicant, you’ll assess the risks of the role then narrow your applicant pool according to the level of risk you’re willing to accept. Hiring a call center employee is likely less risky than hiring an in-home care provider; so you’d use different hiring criteria. Check those references and reviews. With a new car, it pays to check the reviews. In doing so, you look for reliable external information about the car from government testing, magazine reviews, and consumer reviews. This information gives you greater confidence in your decision and helps to confirm assumptions you’ve made or claims that have been made at the dealership. Likewise, every resume and interview results in a list of claims made by your applicant to “sell” themselves as the best candidate for the position. Failing to verify these claims against third party sources through appropriate verifications, including reference checks and employment verifications, can leave you prey to the estimated 60% of resumes that contain falsifications, misrepresentations, or outright lies. The whole point of employment screening is to manage the inherent risks of keeping or choosing an employee. 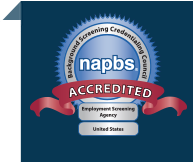 With comprehensive screening you’ll limit those risks and ultimately enjoy the benefits of building a great workforce. Kicking the tires? No. We would never kick anybody in the shins to see what kind of employee they’d make.